Reach-In Coolers, Auburndale, FL | Johnson's Mechanical Inc. Reach-In Coolers, Auburndale, FL | Johnson's Mechanical Inc.
We offer quality service and maintenance for reach-in coolers of all sizes in Auburndale. Reach-in coolers are often seen in commercial areas to store beverages and other items in easy-to-reach locations. They are a convenient storage solution for any home or business, whether it be a small private residence, a local café, or a large commercial operation in Auburndale, Florida. We are pleased to offer high-quality, reliable service for reach-in coolers at any location. One of the keys to keeping reach-in coolers functioning properly is to provide careful care and maintenance. Consistent service helps ensure reach-in coolers operate smoothly and do not break down unexpectedly. 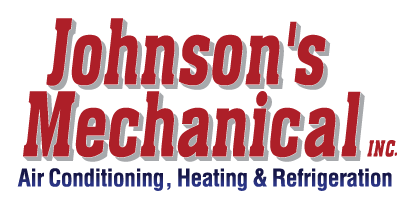 At Johnson’s Mechanical Inc., we provide maintenance packages to help you keep your coolers up and running at full capacity. We will work with you to put in place a maintenance plan to provide cooler repairs that last at your home or business in Auburndale. Routine reach-in cooler upkeep includes keeping the cooler’s component parts clean, as well as monitoring the cooler for damaged parts. This may involve cleaning the cooler’s coils, monitoring the fan, and maintaining the compressor. In addition to routine maintenance, we also provide cooler repair in Auburndale if your reach-in cooler does happen to break down. Our trained technicians provide professional service of the highest quality. You will find each technician performing quick and reliable work to ensure repairs that stand the test of time. We have been in business since 1982, so you will find we have the knowledge and experience to provide excellent work. Contact us today to learn more about reach-in coolers for your home or business.